If you plan to spend a lot of time with your family at the pool this summer, you should take care to prevent injuries. However, not all pool injuries can be avoided. There are some injuries that are caused by pool owner negligence, bad products, or someone else’s malicious intent. In these cases, someone else is directly responsible for putting you in harm’s way, and they can be held accountable for your injuries. While potential injuries should not keep you from enjoying the water, you should know who is responsible for your safety and what you can do if you (or a member of your family) are injured at the pool. The law protects public swimming pool patrons under the doctrine of premises liability. Generally, paying customers are expected to be using the facility. With that expectation, the owners are then responsible to make reasonable accommodation for the safety of the people enjoying the pool. • Having lifeguards who are sufficiently trained. If a lifeguard is not properly trained or certified, the employer is responsible for injuries that the lifeguard should have been able to prevent. • Providing enough staff to deal with the number of patrons. One lifeguard may not be enough for a large pool—especially a pool that contains many children. Injuries may occur because there aren’t enough trained lifeguards on staff. • Maintaining the pool. A number of injuries can occur because maintenance falls behind. A broken tile can cut deeply or a broken filter cover can allow a child to stick an arm or leg into the water drains. • Providing proper signage. There should be signs around the pool enforcing safety measures, such as depth warnings and no-diving signs for shallow water. 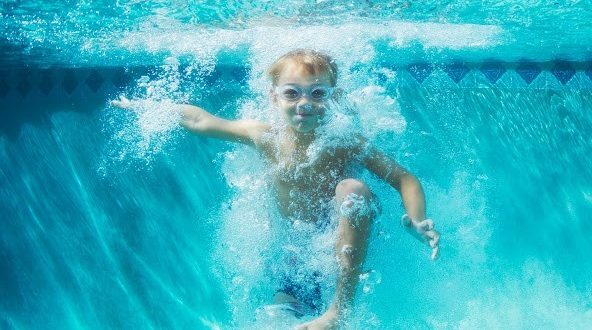 Even if it seems like shallow or deep water should be self-evident, some children and adults may not have capacity to understand the dangers of each. Each state has sign and safety regulations. • A lack of safety and first aid equipment. Pools should have devices ready for life-saving if necessary. If someone drowns or cannot be properly attended to after an injury because of a lack of basic medical equipment on site, the pool can be responsible. If your injury resulted from the pool ignoring their civil responsibility, you will have a legitimate personal injury case against the facility. Many pools have steep insurance policies to cover injuries. While public pools often are aware of their legal responsibilities to provide safety materials, warnings, and properly trained staff, many private pool owners do not realize the level of responsibility they have for the safety of pool guests. • Fencing around the pool area. Fencing keeps children away from the pool when it is not in use. If a child drowns in a pool that is not properly fenced with latched gates, the homeowner can be held partially responsible for the damages. • Providing warnings. If something is not working correctly, it’s a the homeowner’s job to speak up and warn swimmers, instead of ignoring the problem. • Maintaining the pool. Proper pH and filtration is essential to the health of swimmers. A rusting ladder that breaks or a pool covering with a hole can be equally devastating to swimmers who do not know the increased danger is present. • Keeping the deck clean and using non-slip finishes. Slip and fall accidents are common at pools. Home pools are less likely that public pools to be designed in a non-slip manner. These are just a few of the responsibilities of private pool owners. Many owners post signs that state things like “swim at your own risk,” and they aren’t required to provide lifeguards. But personal responsibility can only go so far as the homeowners basic safety precautions. The two last sources of injuries are less common but still no less severe. Product liability may apply when a defect of the pool or pool accessories lead to injury. For example, if your child sustains chemical burns from swimming in a private pool, the reason might be water that is too acidic or basic because of defective pool chemical balancers. In this case, the company who made the chemicals would be responsible. The burden of proof is on you and others who might have been affected, but that is a task your lawyer can help with. Finally, personal liability applies when the injury is not caused by pool defects or maintenance trouble, but instead is directly caused by someone else’s actions. A child might be pushed down the slide by another patron, or an older kid may hold a younger child’s head under the water for too long. These injuries can be pursued both civilly and (depending on the motive) criminally. For more information on pool injuries and the compensation you might require, contact us at Otorowski Morrow and Golden, PLLC.